We make it easy for you to choose the menu to suit your event at very reasonable prices. All the prices below are quoted on 100 guests. Please have a look on the prices page for a full breakdown of all the menus. Pig In A Bun !! Prices from £4.95 PP on 100 guests !! The Hog Father Buffet !! Disposable Plates, cutlery and napkins. A Whole Pig is not on display with this menu. Only £6.00 PP on 100 guests !! Bella’s Famous Hog Roast Buffet !! !! A whole pig will always give your event the wow factor !! Only £6.75 PP on 100 guests !! This menu is extra special as you and your guests will receive China plates & stainless cutlery as well as a choice of delicious desserts…..
Only £12.00 PP on 100 guests !! All menu’s can upgrade to china plates & stainless cutlery at £2.00 per person. A choice of sweets are available from £2.75 per person. Now you can find us on facebook at our new page. That's right! The best hog roast in Newport is now on facebook! Watch out for offers and news from Bellas Catering Services. Bellas Catering Services has signed up to use locally reared Saddleback pigs from Oak Tree Farm. These pigs give a wonderful tasting meat with the best crackling. Weddings can be expensive, so here's a tip which saved someone over £1500 by having a hog roast. 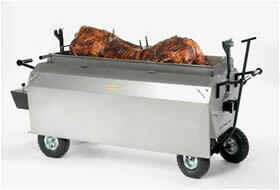 Whether you want a hog roast in Newport or a Cardiff Pig Roast, Bellas Catering Services has everything you need. 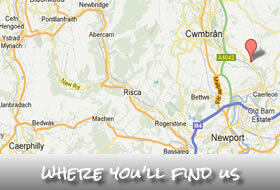 From hog roast machine hire to wedding hog roasts, we've got what you need and cover South Wales and beyond. Bellas Catering Services are pleased to announce our new Morning After gift hamper. Full of award winning locally produced pork, it contains everything you need for a full English the morning after the night before. Perfect for stag groups or parties! Get piggy with it at breakfast! © Pot Belly Hog Roast Ltd 2011. All Rights reserved.